Food has played an important part in Liisa´s life from the time she was four-years old and made meat balls with her grandma. She has done catering at scout camps, sailing boats and horse trekking facilities. In addition to food she has also a diverse experience in business. 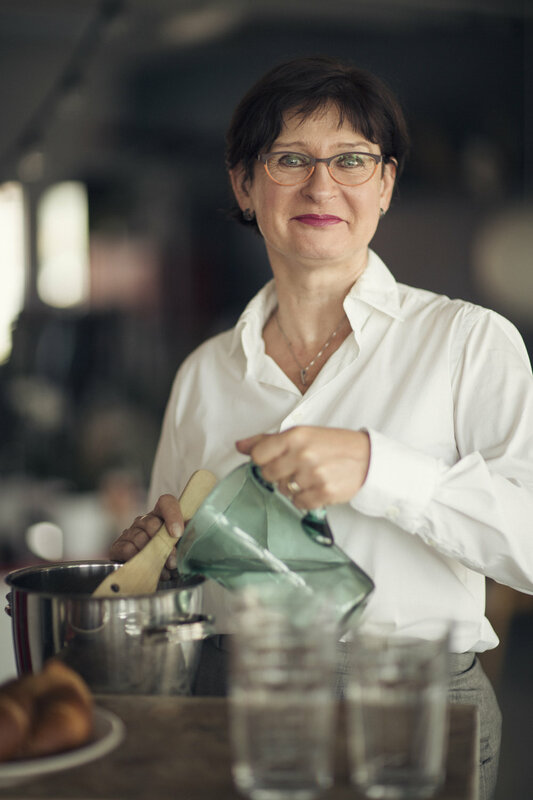 She majored in Food Economics at Helsinki University, and could combine the food and business together. Liisa has made her career in service industry and has held various positions within hospitality and food industry. During her first assigment as a development manager in S-group, Finland she built the system for product development in chain restaurant operations. While working in the UK for Bass Taverns she was a member in a team which created a new family pub venue to the UK market. In 1997-1998 she worked for Amica Ab by Fazer in Sweden to improve the profitability of a group of cafes. After returning to Helsinki sheheaded all S-group´s restaurants consisting of 350 units. Her biggest achievement from the time was creating a new strategy for restaurant business and re-branding of the main restaurant chains Rosso, Fransmanni and Amarillo. From 2004 to 2011 Liisa worked as a sales director of a 650 million, food whole seller Kespro and managing director of a workwear company Hejco. From 2012 to 2015 she implemented the learnings from service industry as a managing director to reorganize and restructure including the foodservice for the largest private kindergarten chain Tenava, in Finland. Later, after a business development assignment for Åland Hotel Group at Åland Islands 2015-2016 she returned back to Helsinki where she is currently working as a Project Director within hospitality and travel industry company Airtouch. Her focus is concepts, profitability, process development and strategies including digitalization. Liisa has played an active role as a promotion manager of Bocuse d´Or Team Finland since 2012 and created an operational concept for the team. Liisa has been a member of Food and Fun family since the first Food and Fun in Reykjavik year 2000. She has also participated in the Food and Fun events in St. Petersburg Russia, Helsinki and Turku.